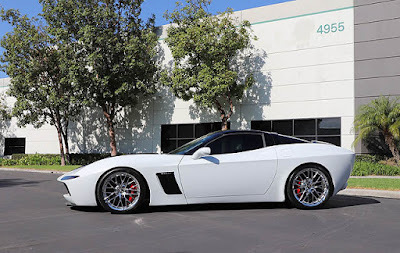 Automotive designers Gene Langmesser and N2A Motors have recently collaborated to create a "modern time machine": a sports car that brought its owner back in time when American muscle cars controlled the streets, but also embeded a variety of modern technology, performance and comfort. By using the classic 1960s Corvette Stingray as its base, they created an amazing Devilray. 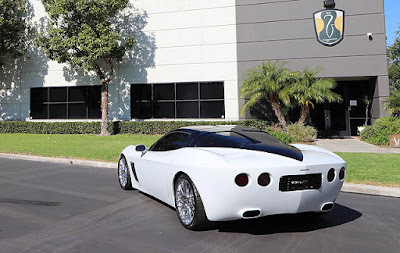 These car has an exterior look like the 1960s Corvette Stingray, but with the body made of a modern composite materials, exclusive genuine leather interior. What's more great is the N2A Motors offers three versions of the Devilray, ie Standard, GT and RR, which includes more luxurious interior features, upgrades in strength and speed, as well as a number of display parts that can be chosen according to the wishes of the customers. 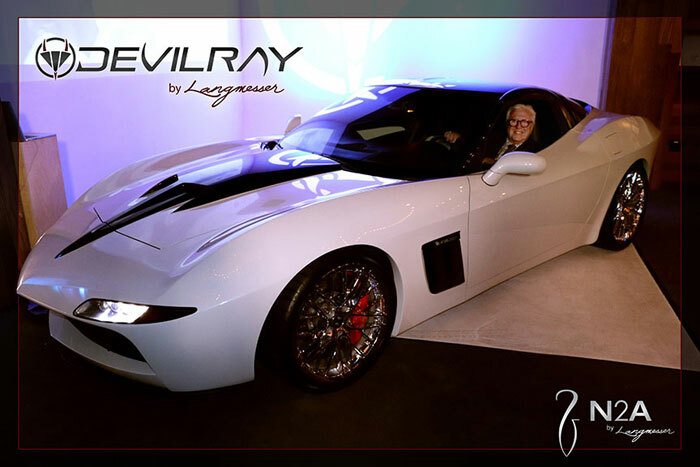 First, there’s the Devilray that features carbon composite body panels, leather interior, Devilray exhaust tips, manual or automatic 6-speed transmission, and out-of-the-box, 440hp-plus. 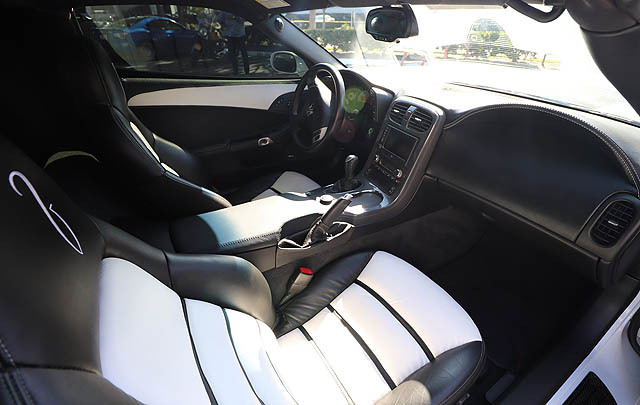 Then, there’s the Devilray GT, which ups the ante with a wood steering wheel and interior accent package, premium leather, retro wheel package, premium sound system/navigation/backup camera, and a 7.0-liter, 500-plus V8. Finally, there is the Devilray RR, billed as the “ultimate race-ready Corvette.” This one has carbon ceramic Brembo brakes, sport steering wheel, racing wheels, ultimate body accents – and a 6.2-liter, supercharged LS9 V8 with over 630 horsepower, 604 lb-ft of torque and a top speed of more than 205 mph! Not only that, the customers can also personalize each of the versions with optional performance kits ranging from 520 hp to 1000 hp and carbon fiber options for engine covers, air induction systems, fuse boxes, and master cylinder, water and power steering reservoirs.